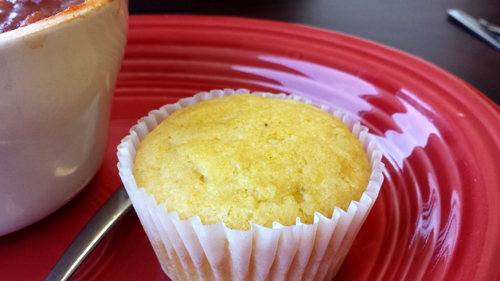 The Queen of Columbus forwarded us a list from Movoto of Akron area restaurants to check out. We had been to 12 of the 15 and while I would differ in opinion with a couple of their choices, there was some excellent fare represented. So that gives us three new places to check out. We started with the diner. 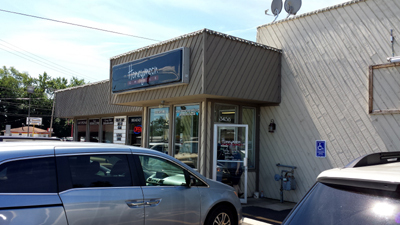 The Honeymoon Grille turned out to be nicer than I had expected it to be. A generally clean and functional structure with more room inside than there appears possible from the outside, it’s clean, classic, and informally homey. There were a couple of tables that needed wiped down but overall they seem to be keeping the dining room presentable. I expected more of a dirty dive. Our server was certainly nice but could use some tips on time management. Others were quick to notice things and took care of them pretty quickly in her absences. 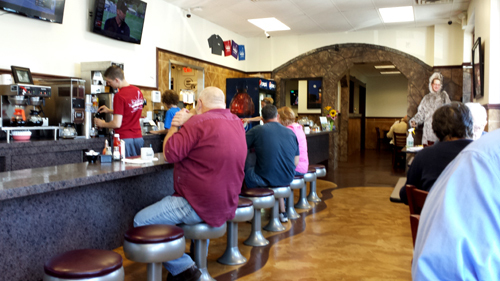 We split our order between breakfast and lunch…that’s when you go…they are open 7 days a week and close at 2 p.m. every day. 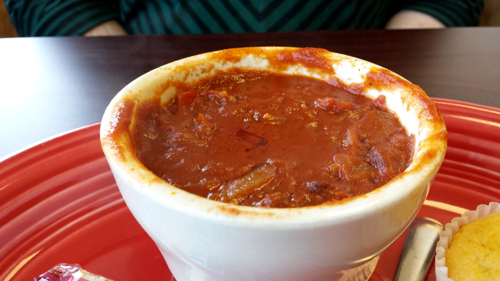 We tried a cup of chili with cornbread, the Philly cheese steak and the country fried steak breakfast. I Expected More Of A "Dirty Diner"
The cornbread was a skosh above average. A little dry and crumbly (a pat of butter would have rectified that) but it wasn’t overly sweet or cakey and missed the nastily bitter tang of too much chemical leavener we seem to encounter so frequently. Better than many. 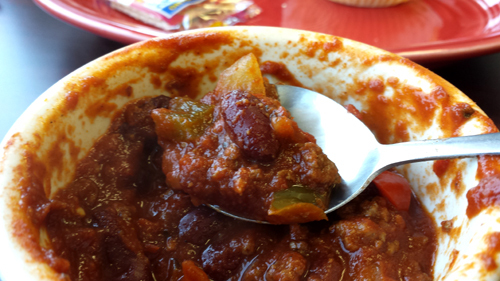 The chili was above average. Loads of fresh veg and ground beef accompanied a few beans in the sharply seasoned tomato broth. While most of the rest of our dishes arrived very conservatively seasoned the chili had a stout handful of chili powder and some other elements of spice for a great bite. 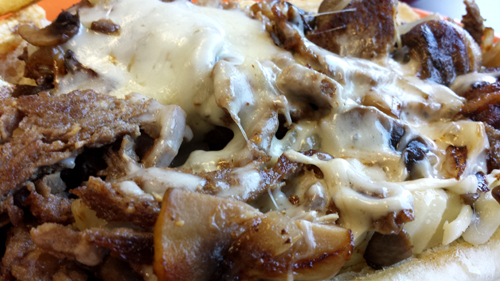 The cheesesteak was about average for the area, which is to say subpar overall. Steph added extra cheese (so there was plenty of that) and a fair load of shrooms and onions. What was missing was the beefiness. There was meat, it wasn’t a skimping problem. The problem was the flavor of the meat never made much of a showing. The fries on the side were delicious for the first couple of minutes, but the second they dipped below fresh-from-the-fryer heat they became pasty, mealy and under edible. 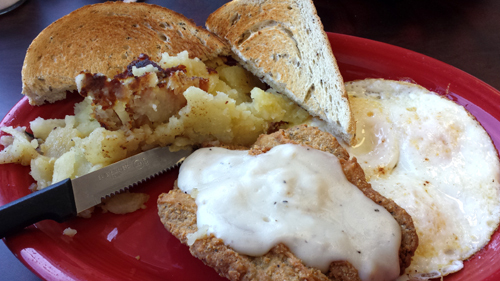 The country fried steak plate was pretty good overall but a couple of details kept it from realizing its potential as my quintessential morning gnosh. 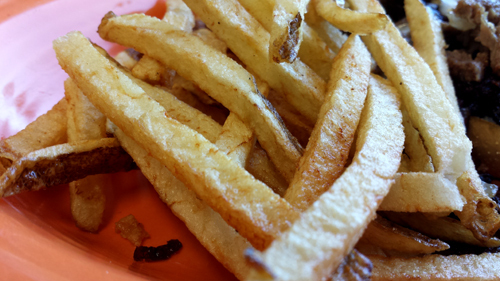 The homefries were tasty after a healthy dosing of salt pepper and hot sauce. They are sort of floofy and light, which I appreciate but I would like them a lot more if they spent more time on a hot griddle for some crispity-crunchity edges. The menu says two eggs…I got three. I ordered them over easy…one was over medium and the other two were done completely through. An error in doneness or number is not uncommon but when both happened I wondered if I got someone elses eggs…never went back to see if anything comes with three. The gravy on the steak would probably be a disappointment atop biscuits due to a lack of sausage but the steak does a nice job of introducing protein. 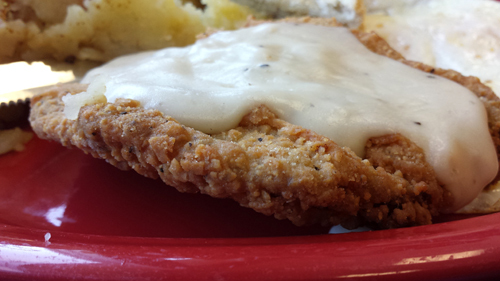 Overall, the gravy/fried steak combo came in around average, about what I would have expected in taste and texture. The Grille probably won’t blow your mind but they will likely give you a pretty good meal overall.